A girl with Down’s Syndrome is aiming for the West End after she became the first person in the UK with the condition to make it onto a national training scheme for talented young dancers. Award-winning Beth Gardiner, 20, has been dancing since she was five and used it as a way of getting her “tears out” and expressing herself as a child. The contemporary-style dancer has been enrolled on the Centre for Advanced Training (CAT) scheme since September 2013 and has performed on stages all over Nottingham. The programme aims to give young dancers the skills they need to make it as professionals and has already helped some bright young stars to achieve their West End break. Ambitious Beth, a dance teaching assistant with Oakfield Dance in Nottingham, won a prize for dance at the Young Creative Awards ceremony at Nottingham Playhouse earlier this month. But now she has the West End firmly in her sights and hopes her story will inspire other young people with disabilities to follow in her footsteps. Beth – who trains for 10 hours a day – says she has had to endure being “stared at” by people in the street and being ignored by others in group conversations. She added: “I enjoy dancing and love performing on stage. My favourite band is Take That and I’m going to see them soon. My dream is to perform on a big stage like Take that. “My favourite West End show is Wicked, the untold story of the Wizard of Oz. “I would love to be a West End dancer. That would be a dream come true. 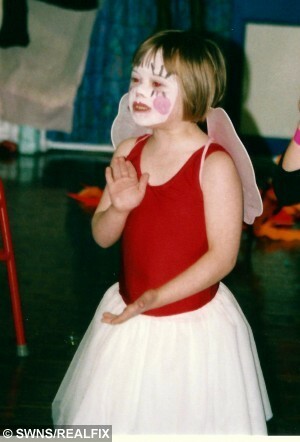 “I struggled to express myself but dancing gave me confidence after I started when I was about five. 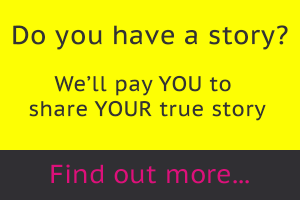 “It helped me get my tears out and I am so happy I have this place on the scheme. Her proud dad Mike, 49, who lives with his wife Judy, 55, and Beth in Nottingham, said his daughter has had to break down barriers to be seen as a successful dancer. The business analyst added: “Disabled people aren’t expected to do these kinds of things. They’re expected to follow a set path, go to specific colleges and day centres, rather than choosing what they want to do. Everyone is treated the same. “As a family we’ve been made to go through a series of hoops with no real choices. We’ve just been expected to fit in with what society expects, which can be very patronising. “It’s only through Beth’s shear determination and capability she was able to get this far. I think she’s amazing and it would have been a crime for her not to follow her dream. “One of the biggest problems is to get the top professional dance training you need academic qualifications. Beth is a brilliant dancer but not academic. Why should that be a block to her doing something she loves and is good at? “If you can dance, it shouldn’t matter if you can do English and maths. There have been moments when we have wanted to give in to that perception. “It is tough when you get stared out by people in the streets because people think Beth is different. Sometimes when we are in a bar and queuing for a drink, we may get pushed to the back. The Centre for Advanced Training (CAT) scheme Beth is on is run by registered charity Dance 4 which carried out research in 2011 using funding from the Department of Education to investigate the barriers young disabled people face when trying to find dance training. The report found that many of them were being put off by the attitudes of teachers and other young dancers and that greater awareness and understanding of disabilities needed to be encouraged to create greater opportunities. It also found that disabled dancers, despite being talented, were being overlooked for parts in productions because of their physical appearance. Becky Aram, 29, programme producer for children and young people at Dance 4, recommended Beth for the CAT scheme and says she deserves every success. She added: “Beth is very talented and she’s progressed so much since she joined the programme. “Academic qualifications shouldn’t really matter if you want to be a dancer and you’re talented. Beth is an intellectual dancer, a thinking dancer. She knows what she’s doing with her body and she never misses a session. “We’ve had several graduates who’ve gone on to join professional dance companies and perform on the big stage and there’s no reason why she shouldn’t be able to do the same. Mum Judy, a retired nurse, added: “We would be so, so proud of Beth if she could feature in the West End. She has come this far already and we are so happy for her. 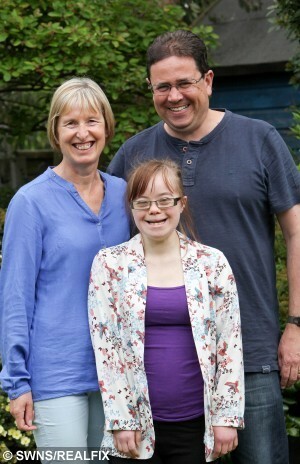 “We didn’t know until just after she was born that she had Down’s Syndrome. We were full of fear, but we decided to embrace it. It certainly makes you more passionate and protective of your child. * Down’s Syndrome is a genetic condition which affects physical and mental development. Symptoms of the condition can include short stature, a broad facial profile and learning difficulties. It can also cause heart defects and bowel problems at birth. « Previous post Could this be the answer to beating the menopause?